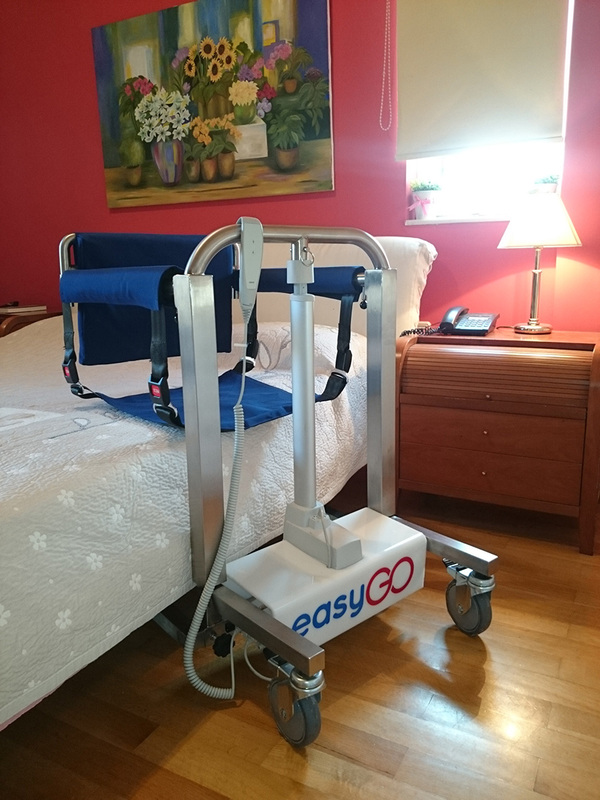 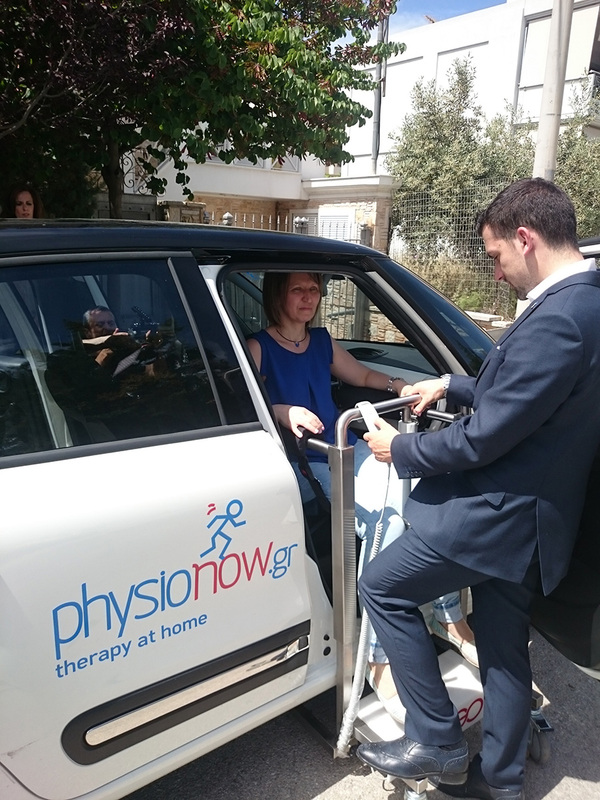 easyGO is the easiest and most dignified way of lifting, transporting and repositioning people who due to mobility difficulties are forced to stay in bed. 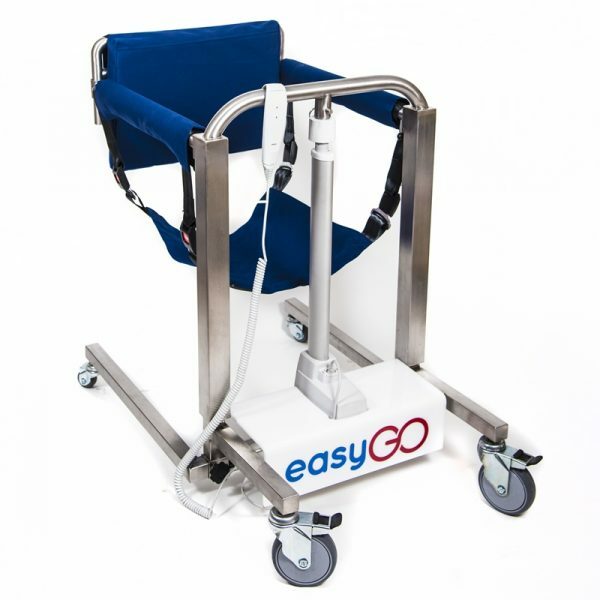 easyGO features a unique electric mechanism that allows you, by pressing a button, to lift your patient with minimum effort. 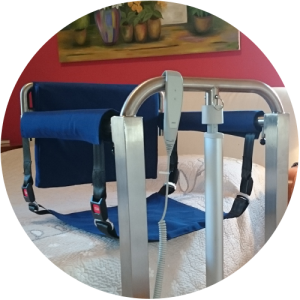 The frame is stainless steel and sturdy. 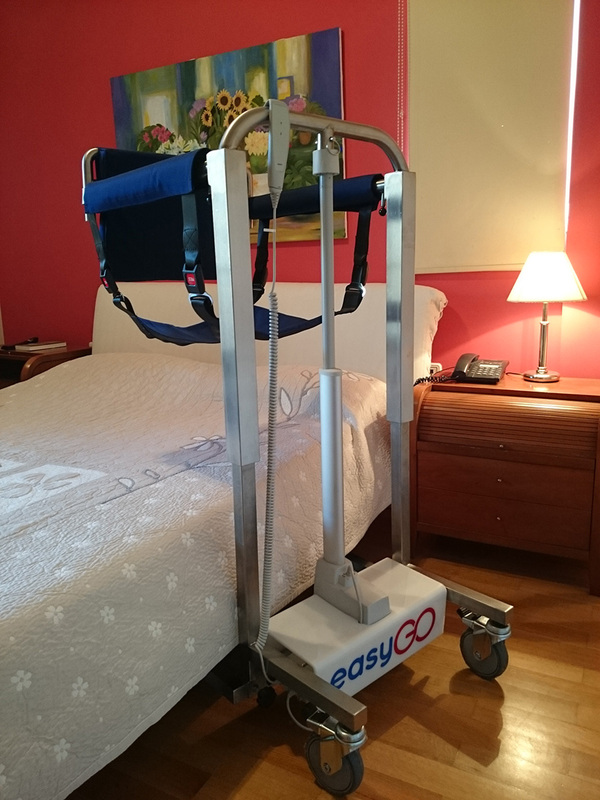 A lifting hoist free from the large volume and awkward lifting. 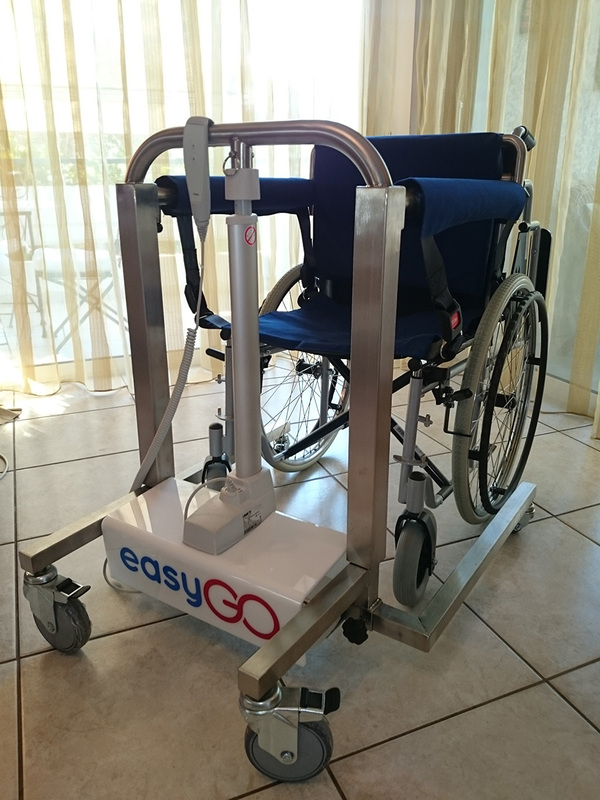 The electric lift system makes the process fast, efficient, convenient and ensures the dignity of the patient lifted. Removable back ensures seamless approach of easyGO to the patient wherever he/she may be. 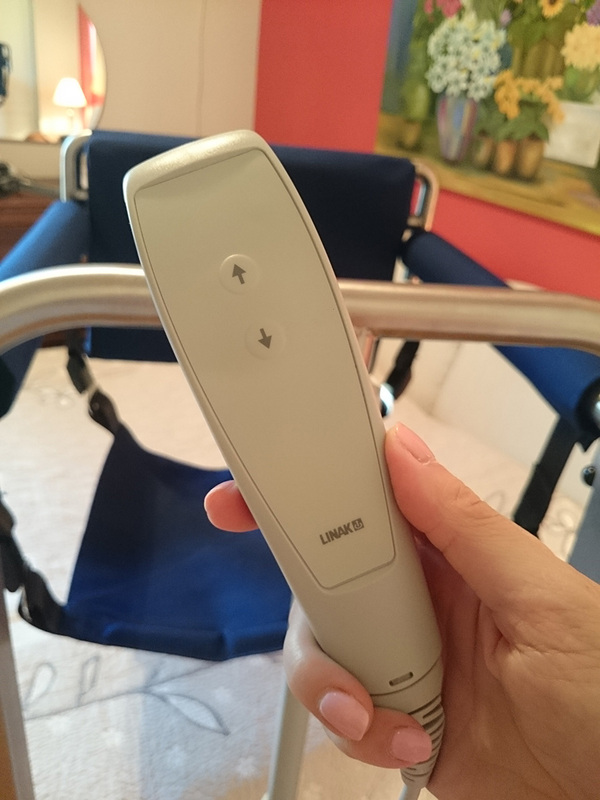 Grace to the method of height change, the back-seat and arm-rest distance remains fixed, allowing the user to be always properly seated without “sinking”. 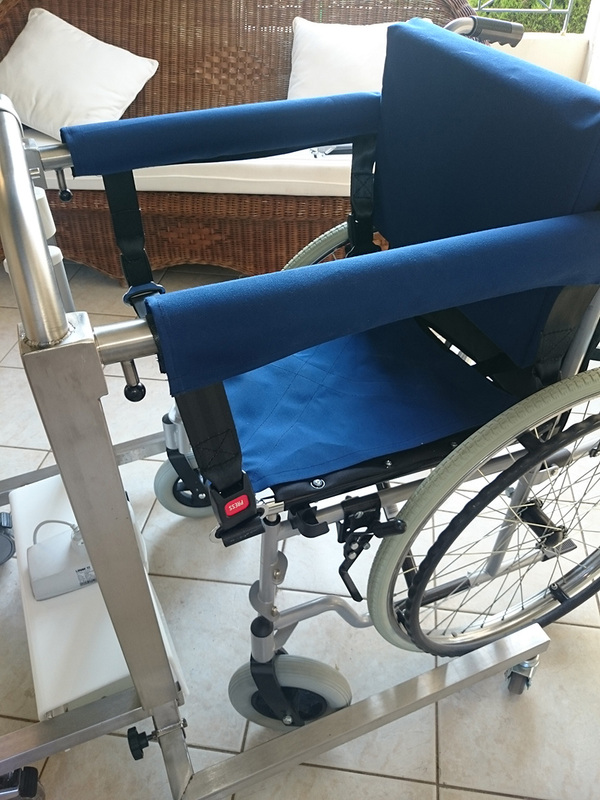 Furthermore, the telescopic base (seat width variation) allows approaching a seat regardless of its width. 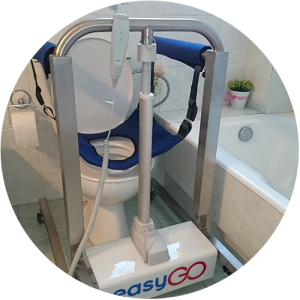 Fully stainless steel construction and a special waterproof seat with an opening that is not affected by the use of water. 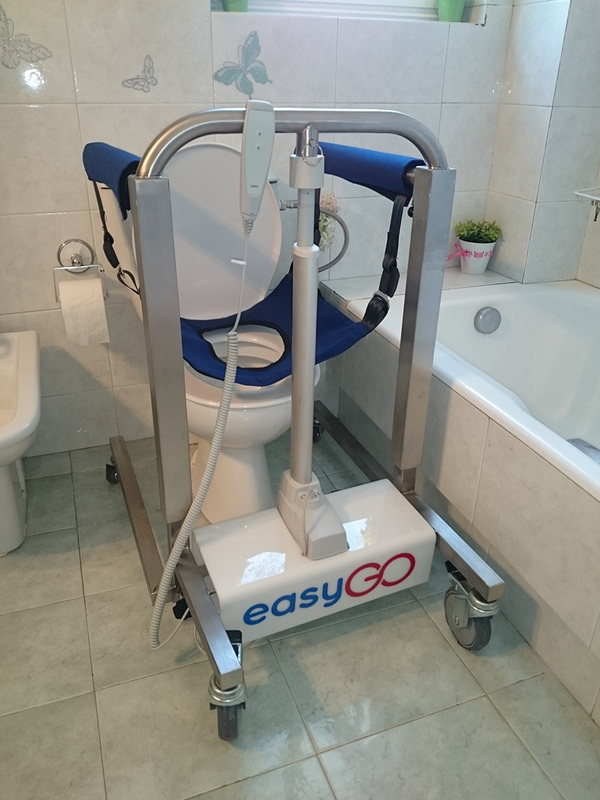 Allows you to reach the toilet seat easily and safely thanks to its flexible design. 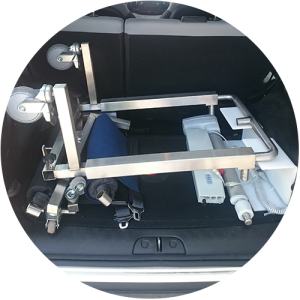 Approaches easily and comfortably the passenger seat. 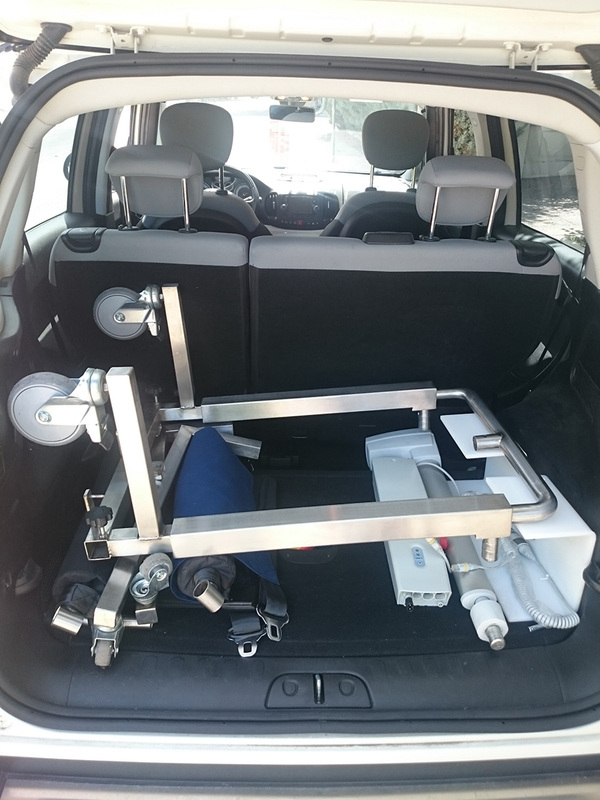 Folding – split. 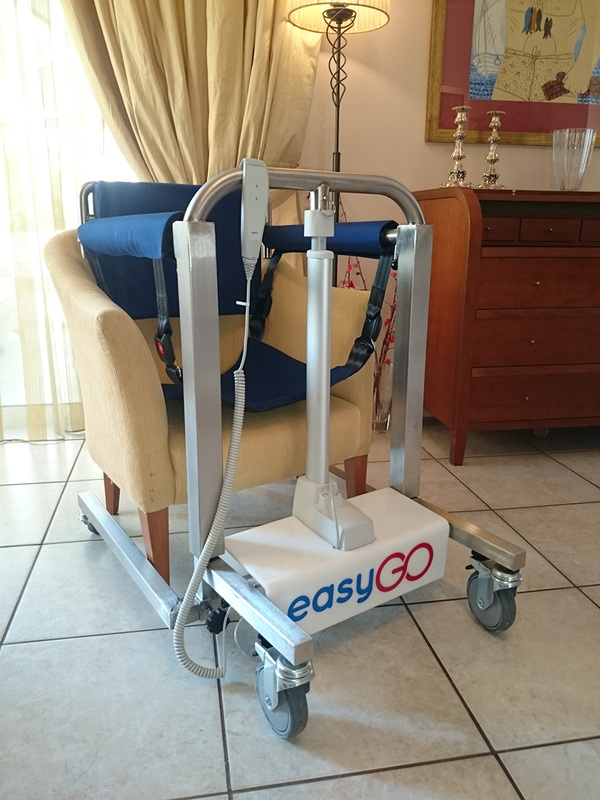 The easy disassembly and small volume of easyGO allows you to place it in any vehicle trunk. 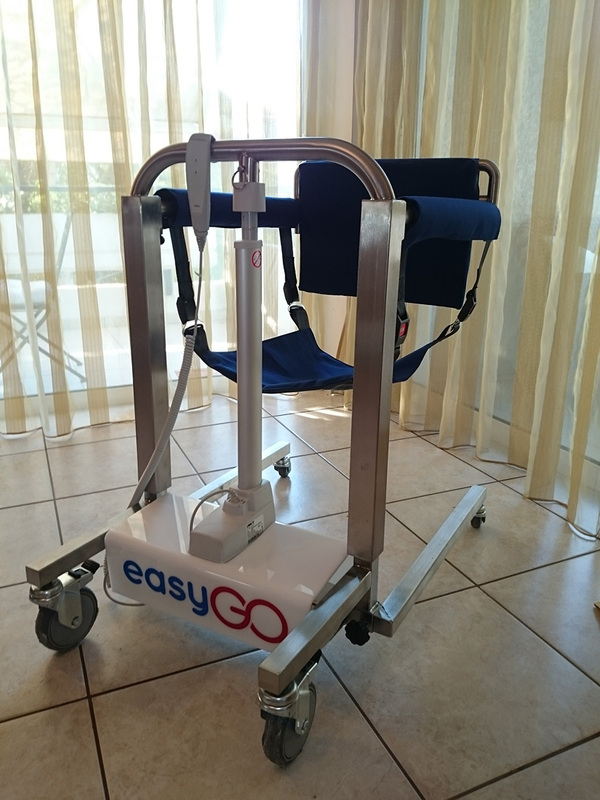 EasyGO comes with 2 seats (one simple and one with a toilet hole) and 1 fastening belt.